SkySparc | An independent solutions provider trusted by banks, central banks, Fortune 100 corporate treasuries and asset managers, offers complementary software, outsourced support and a wide range of financial and technical consulting services. SkySparc, an independent solutions provider trusted by banks, central banks, Fortune 100 corporate treasuries and asset managers, offers complementary software, outsourced support and a wide range of financial and technical consulting services. Outsourced support enables our customers to focus on their core business and benefit from attentive service from our financial and technical experts. SkySparc OmniFi delivers sustainable business value to customer through advanced management reporting, process automation, system integration and fully automated testing. SkySparc is a four-time winner of Dagens Industri’s Gazelle Award for fast-growing companies, and has also won both Central Banking’s Consultancy and Advisory Award and Treasury Today’s Adam Smith Award for Best Risk Management Solution. Over the past 10 years, we have integrated OmniFi with new generations of technology, giving us a deep technical understanding of the system and its APIs. SkySparc has gained extensive project experience working on more than 400 large implementation and upgrade projects around the globe. Our proprietary project methodology has been awarded multiple times, e.g. The Central Banking Publication's Consultancy and Advisory Award and the Adam Smith Award for Best Risk Management Solution, awarded by Treasury Today. We have the largest independent team of consultants with system expertise, which means we can provide a unique combination of financial and technical skills. Our outsourced support service accounts for 50% of our business, leveraging unparalleled expertise to deliver flexible, user-centric support by a dedicated team of experts. Building on more than 15 years of profitable growth, SkySparc continues to serve clients by reinvesting in our staff, developing project methodologies and enhancing our own product, OmniFi. Our four key pillars underpin every SkySparc consulting engagement to ensure a robust and thorough delivery of our clients’ requirements. Our unique OmniFi software is used by our consultants to automate and streamline iterative tasks. This dramatically increases the speed and accuracy of data migration, systems configuration, testing and other tasks during the project. We offer a large and highly experienced team of trained consultants: all with a strong combination of financial and technical backgrounds. We’re also a truly multi-national team, giving us the edge when it comes to really understanding our global clients. We continuously develop the solutions and methodologies that match the specialized needs of the application, and have become experts in quality assurance as a result of our significant investment in our testing methodology. Our company-wide core values of excellence and passion are at the heart of all our work. Excellence means taking pride in our performance and consistently delivering against your needs to the highest professional standards, on time and within budget. Our passion is reflected in our commitment to deliver exceptional, personalized service for our clients. Joakim has a 20-year track record in delivering outsourced support and consulting services to users of multiple trading, treasury and asset management systems in the Nordic and continental European regions, including banks, corporate treasuries, central banks and other financial institutions. 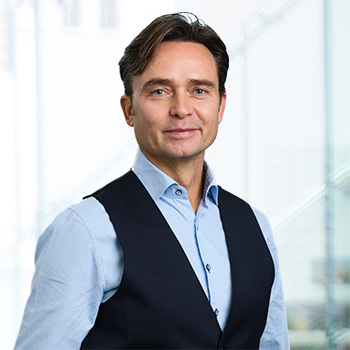 Prior to being appointed CEO of SkySparc, Joakim lead TradeTech Consulting (now Virtusa AB) for eight years, building the firm’s business growth on outsourced support service innovation and quality. He was also global head of the Treasury Support Center business unit at NFS Group, providing technical and functional support to corporate treasuries. As well as 20 years’ practical consulting experience on Wallstreet Suite, Joakim has extensive of delivering services for similar platforms including SimCorp Dimension and Front Arena. Joakim holds an MBA in Strategy and Finance from the University of Cape Town, and an MSc in Business Administration and Finance from Jönköping University. Mattias has more than twenty years' experience within the financial technology sector. He began his career as a programmer at ALTA Financial Systems, a local Swedish financial technology company. Following this he joined the fast growing Trema (today ION). During his years with Trema he held various positions, amongst those were financial engineer, product manager and project manager, as well as being a senior business consultant on projects worldwide. Throughout this time, Mattias gained a deep understanding of Wallstreet Suite and experience in managing large and complex system implementation projects. Mattias has a Master of Science degree in Engineering Mathematics from the Royal Institute of Technology. Thomas has more than thirty years' experience in the financial markets, both on the trading, technology and consulting side. Prior to SkySparc, Thomas worked at Trema (today ION) for seven years and was instrumental in building the company's success in the global treasury market. During his tenure as CMO, Trema grew its revenues and client base significantly and cemented its position as the undisputed global leader in treasury software. Trema was successfully acquired by ION/Warburg Pincus. 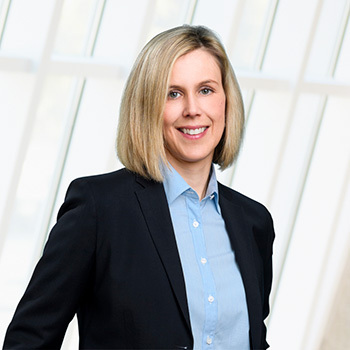 Prior to Trema, Bergqvist held management positions within the trading arms of ABN AMRO and Handelsbanken Markets and worked as a Management Consultant at Abovo Consulting/EY. He started his career building option systems for Handelsbanken while studying. Thomas has a Masters' degree in Financial Economics from the Stockholm School of Economics and spent two years on the PhD-program in Finance. To support a successful and sustainable future for all, SkySparc has donated to the World Wildlife Fund's Ocean Fund, which is focused on protecting oceans and their inhabitants from pollution and contamination. SkySparc is proud to have donated SEK 50,000 to UNICEF’s work for refugees and victims of conflicts and disasters around the world. Helping to provide children with immediate, life-saving care, supplies, health care, clean water, sanitation, nutrition and education. SkySparc donated to the Red Cross in support of the very difficult refugee situation in the world. "Every girl’s right to go to school"
Collaboration with various international charity organizations including the Red Cross, Save the Children and Action Aid.